Sometimes, you experience a clogged kitchen sink and you think, “Oh, it is just probably some food leftover stuck in the pipes.” So, you go on with your daily routine, not minding the clogged sink that you thought would sooner or later go away. While this could be true, it may not always be the case, since these little scenarios could be the starting signs of a broken plumbing system that needs bigger attention. It is important to have professionals check on your plumbing issues because they can recognize a problem and understand how serious things could get when these problems are not addressed. They have the ultimate goal of making sure that once they identify an issue, they will solve it in the most efficient way to make sure that it does not result more problems in the future. Plumbing holes may frequently go unnoticed, until they cause more concerning issues like a burst. People are not too keen to recognizing a problem unless they experience the result of an issue, or when they see their bills cost more than the usual (which is a result of unattended leaks). Thus, it may be a smart thought to ensure that you call an accomplished group of professional plumbers from CMAC Plumbing to evaluate your pipes framework and see where you have to supplant pipes, or repair spilling. It is not just the homeowners that should be knowledgeable about the importance of plumbing, but also those who are planning to own a new house or building. 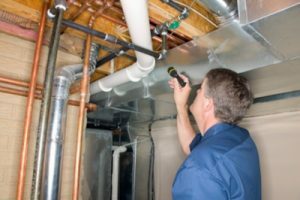 Before proceeding into any purchase of a property, it is very important that you hire a plumbing company to make a thorough inspection on the plumbing system of that property. Properties that are for sale are mostly visually appealing. The sellers would do what it takes to make the property seem worth of the money they are asking for – newly painted walls, furnishing, great space, etc. However, plumbing is something hidden from the surface and so, when you purchase a property without inspecting the backbone of the structure (which includes plumbing), then you might be in for a big reveal of plumbing mishaps, leaks, and other major plumbing problems. But, if you were wise enough to have it inspected, then you can be more confident in handing over that fat check that would allow you to own the property. That said, the significance of pipes review for new mortgage holders can’t be exaggerated. A home stroll through ought to be penciled in by the imminent purchaser and you’re plumbing inspector, who will serve as your quarterback in making sure you are making a valuable purchase. If you are one of those people who are getting ready to purchase a new property anytime, please do take this advice and make sure that you check out the Directory Central or the Sales Spider webpage in order to get a hold of the contact details of CMAC Plumbing – the only plumbing company that you should trust for a better and more honest property inspection. One of the most necessary areas in anybody’s home is the plumbing system. It is impossible to call your house a home if you do not have an an effective plumbing system – working pipes, clean water stream, efficient sewage, and functional water system. Hence, in the event that you find yourself in a situation wherein your plumbing is in bad shape, it is but a must that you call out for professional plumbers like CMAC Plumbing. If for any given day and reason, your plumbing system acts up and clogging starts, know that this is a common sign of a plumbing emergency and it needs to be addressed immediately. While others opt to save the situation with a plunger, the more sensible ones would know that a plunger will only be a temporary fix. In order to put an end to whatever caused the clogging, professional help must be sought, and who better to call than CMAC Plumbing. This is especially true since clogs do not only occur in toilet. It could happen in your kitchen sink, shower drain or, worse, in your sewage system. CMAC has the perfect tool and equipment for all these clogging issues, thus, you can be sure that no matter how small or big the clogging issue is, this company can help you solve it. Leaks appear in your home for a number of reasons, and they come in various sizes, shapes, and intensity (in terms of damage). They can occur in different parts of your system – pipes, heaters, shower, sewer, etc. While leaks feel harmless, it is important that they are not neglected for a small leak can become bigger, the longer it remains unattended. When you start walking around your house only to get hit with a waft of foul odor from your drains and from some water damaged area in your home (due to pipe leaks), then it is time that you grab that phone, check out CMAC’s Yasabe page and give them a call. Do not wait for that odor to turn into unbearable stench and get the plumbing system diagnosed and fixed, ASAP. Licensed plumbers of CMAC have cultivated over the years can very much help you with these problems. never hesitate to call them when you are faced with plumbing problems. Remember that professionals will always have an advantage when it comes to fixing household problems. You can never be too sure about how sturdy and effective the repairs are, unless you have licensed professionals to do the job for you. Check out your local business listing now and call CMAC.